Millets are magic health boosters! Ascertaining research studies that show that millets can effortlessly revolutionize the concepts of healthy eating, we wish to equip the nation with health-enriching ways thereby creating a healthy society globally. To achieve this, we shall strive towards creating awareness on the importance of adding millets to daily diet and helping everyone transform into healthy individuals. The Indian Institute of Millets Research (IIMR), an agricultural research institute primarily engaged in basic and strategic research on millets, operates under the aegis of Indian Council of Agricultural Research (ICAR). It conducts agricultural research on Millets breeding, improvement, pathology and value addition. IIMR coordinates and facilitates sorghum research at national level through the All India Coordinated Research Projects on millets, specifically Sorghum (AICRP on Sorghum) and provides linkages with various national and international agencies. Founded in 1958, the institute was first established under the Project on Intensified Research on Cotton, Oilseeds and Millets (PIRCOM) and was then engaged in research on important dryland crops such as sorghum, castor, groundnut, pigeon-pea and cotton as well as sorghum-based cropping systems. The institute paved way for agricultural research in India during that time. 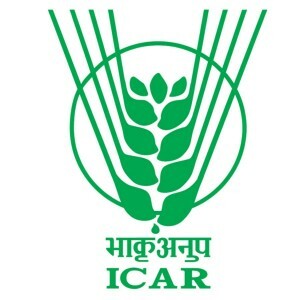 The institute has now been upgraded as ICAR – Indian institute of Millets Research in 2014. The team of Ganaay Millets holds diversified experience in various domains, alongside strong passion for promoting healthy food. While researching on the idea, the team identified millets as one of most healthy food grains. That is when the team zeroed in on the idea as the potential of millets is what they thought can fulfill their dream to create healthier generations in the future. With a vision to create a community supported agricultural ecosystem to provide healthy, affordable, naturally grown, sustainable food that is completely organic to every consumers across the world, the team’s exclusive efforts are put towards providing the farmers with more value for their produce, thereby transforming them into wealthy and healthy farmers.